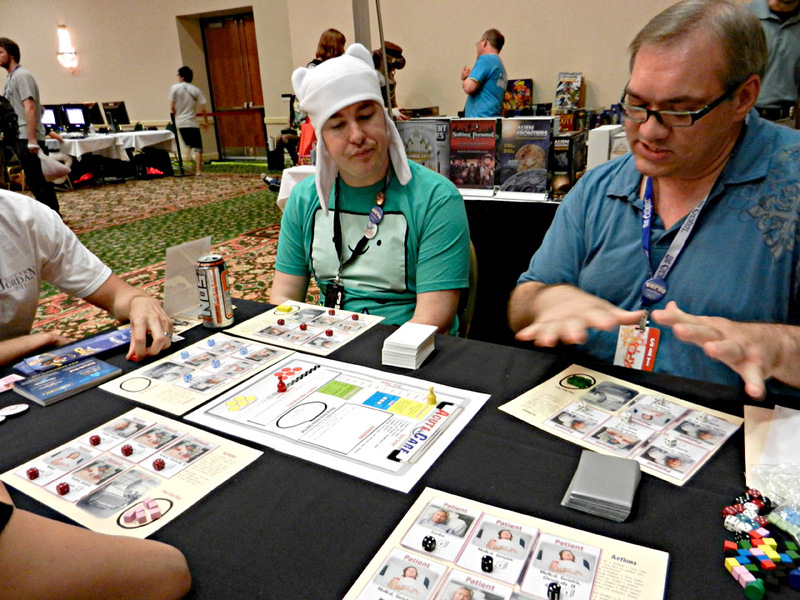 Traditionally, the bulk of gaming con season has ended around the first of September, typically with the party and parade of passioned freaks at Dragon*Con down in Atlanta. Over the past few years, however, a few local cons have started springing up just before or after the string of big shows, extending the seasons for a lucky few. 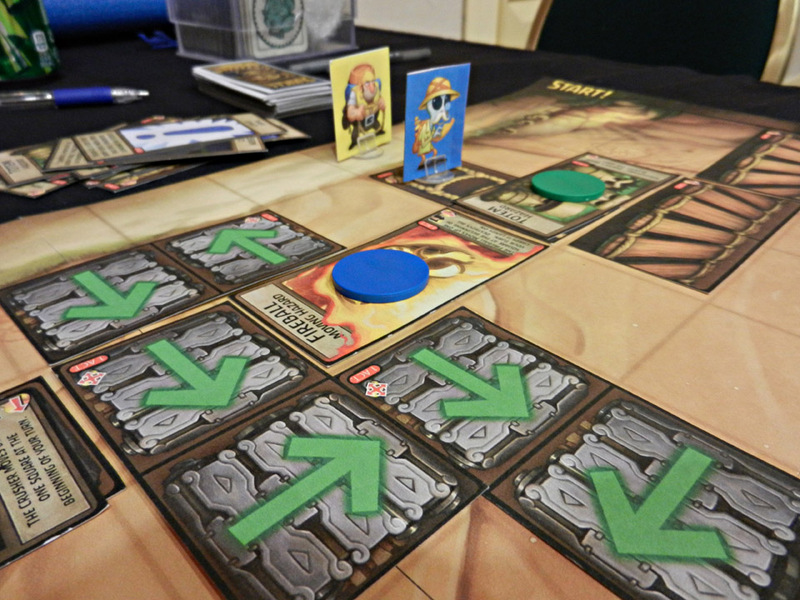 Thankfully, Durhamites are now one of those lucky few as we now have The Escapist Expo in mid-September – a smallish, PAX-like affair with video games, board games and more than a few costumed geeks. 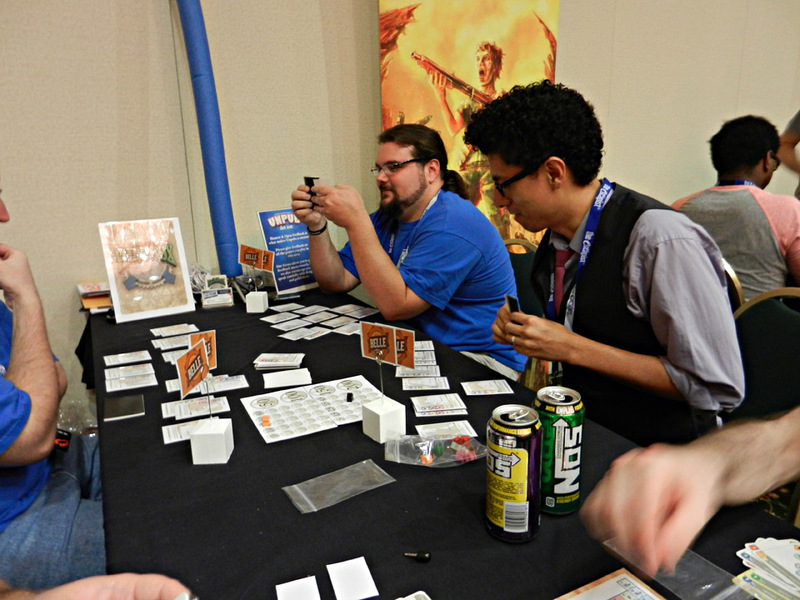 This was the Expo’s inaugural year, and it was a rousing success; we gathered together with over 2,000 of our favorite local geeks and nerds at the Durham Convention Center in a celebration of gaming. For me and Monkey238, the gaming and camaraderie was definitely the highlight, but we also had another awesome perk: The con is held two blocks from Dice Hate Me HQ. Now that’s my kind of con. 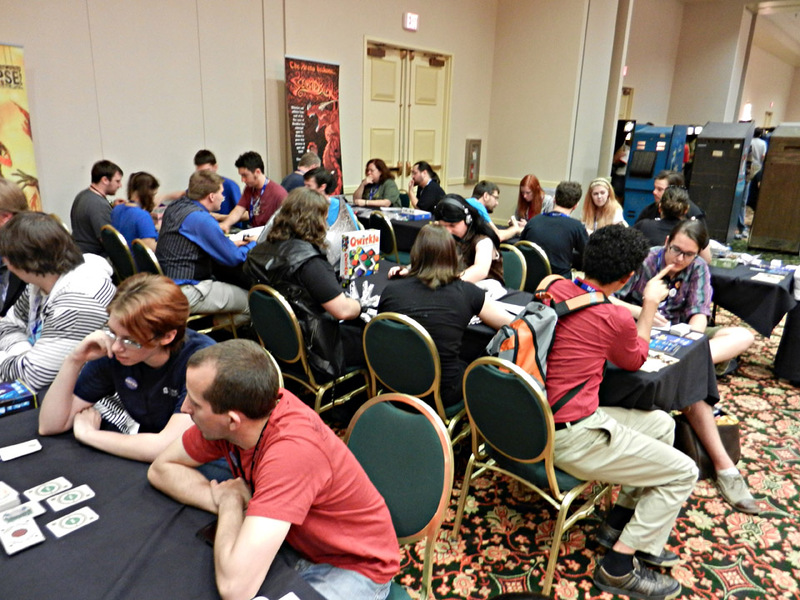 As is our nature, the open gaming area in the Exhibit Hall was our home away from home. 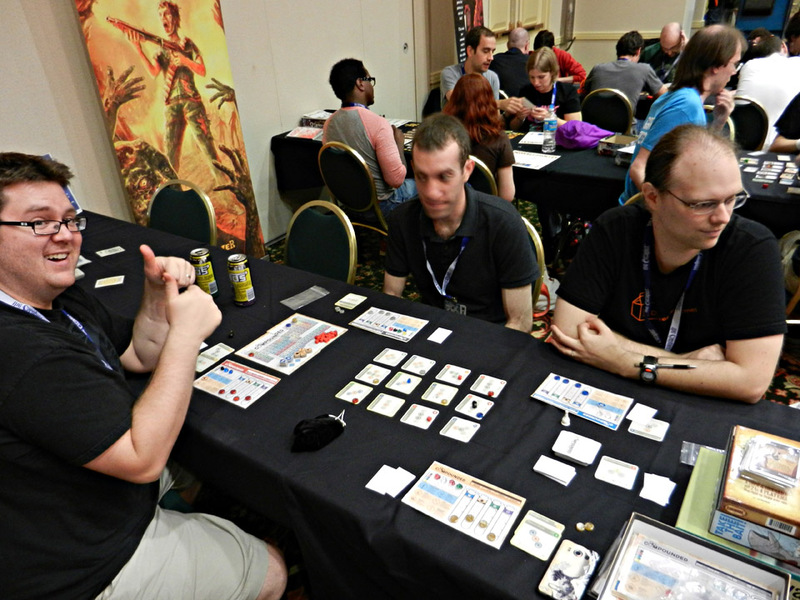 Game Salute brought a ton of games for the game library, and the Unpub Blue Noodle was present and in effect! Part of the massive game library. 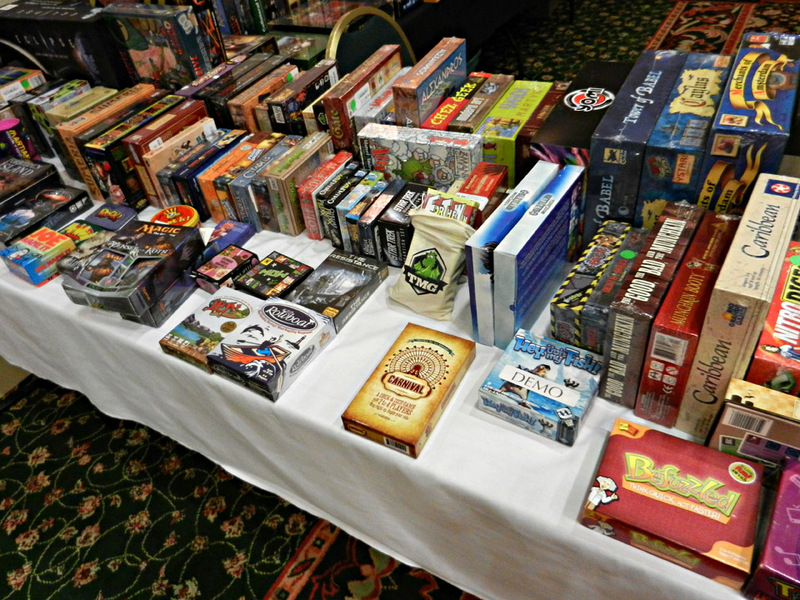 My, what a lovely looking game there in the center of the table! 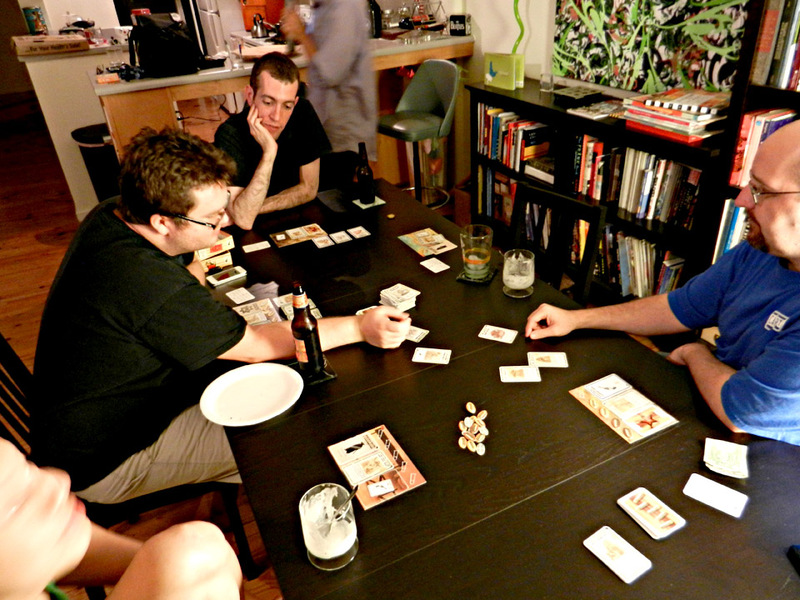 Where there’s Noodle, there’s chemistry – we broke out Compounded for two awesome gaming sessions. This one with Michael Harrison, Dave Kirby and Chris Ingersoll was one of the best demoes yet, with heated trading and tight end scores. 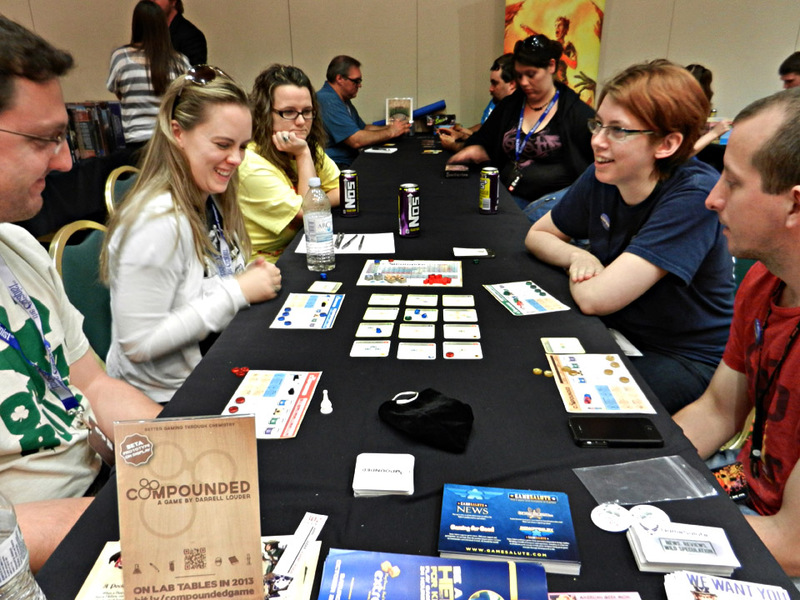 Teaching Compounded to some local game lovers! Ruth (upper right) was a total chemistry shark. Then again, she does do the science thing for a living. John Moller of Cartrunk Ent. 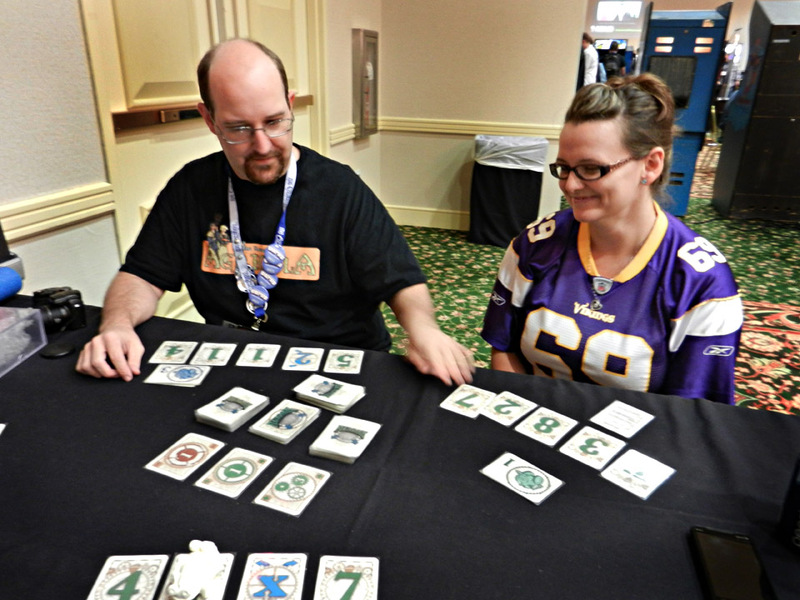 – and founder of Unpub – teaches his game, Flummox, to the Munchkin Queen, Ashley. She totally kicked our butts. 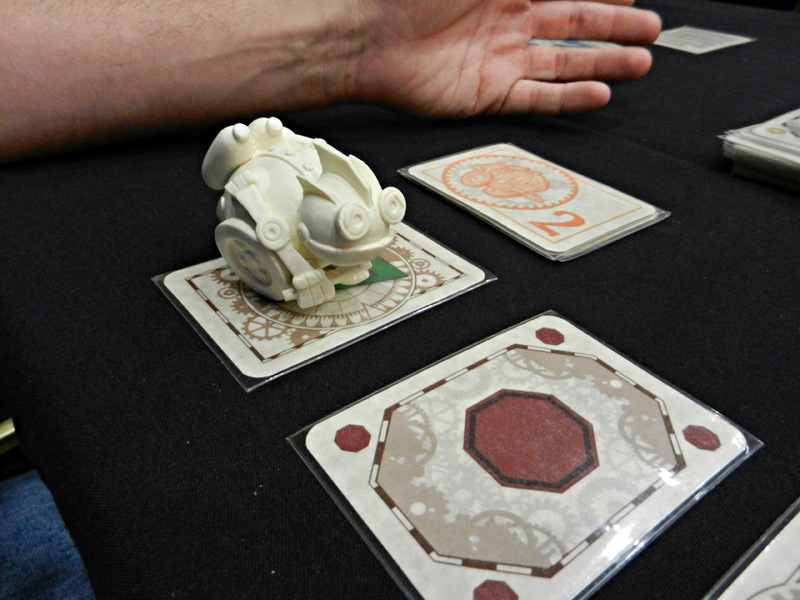 Local friend Daniel Solis – and game dreamer, extraordinaire – runs a demo of his unpublished Victorian party-themed card game, Belle of the Ball. 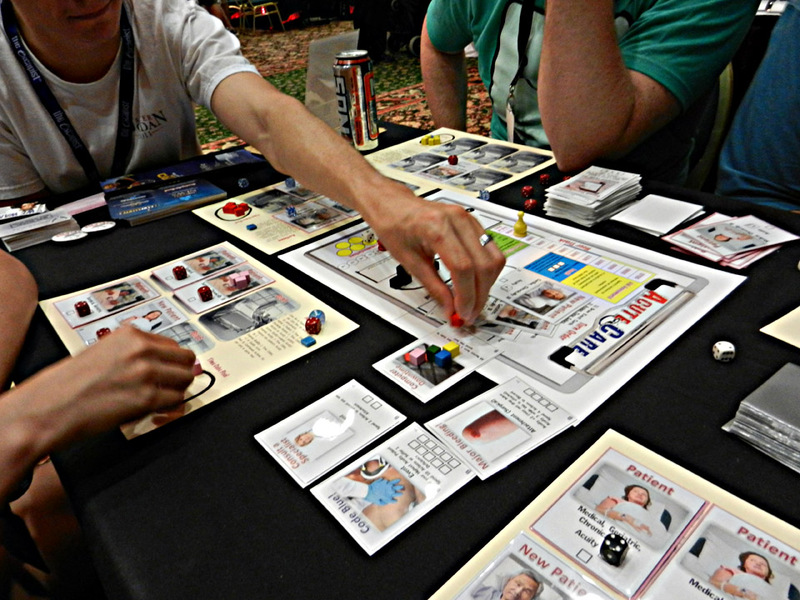 Chris Norwood, at right, describes the finer nuances of nursing and saving lives to Christopher Battles in Norwood’s unpublished game Acute Care. Let me tell you right now, dear readers – nursing is HARD. Scale that cliff – treasure awaits! 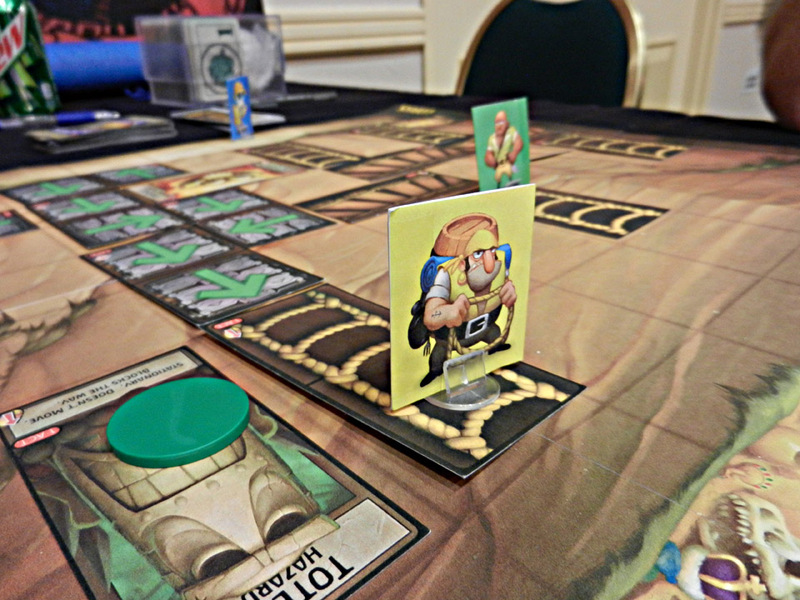 An unpublished prototype of the frantic and fun Jungle Ascent, now on Kickstarter from 5th Street Games. 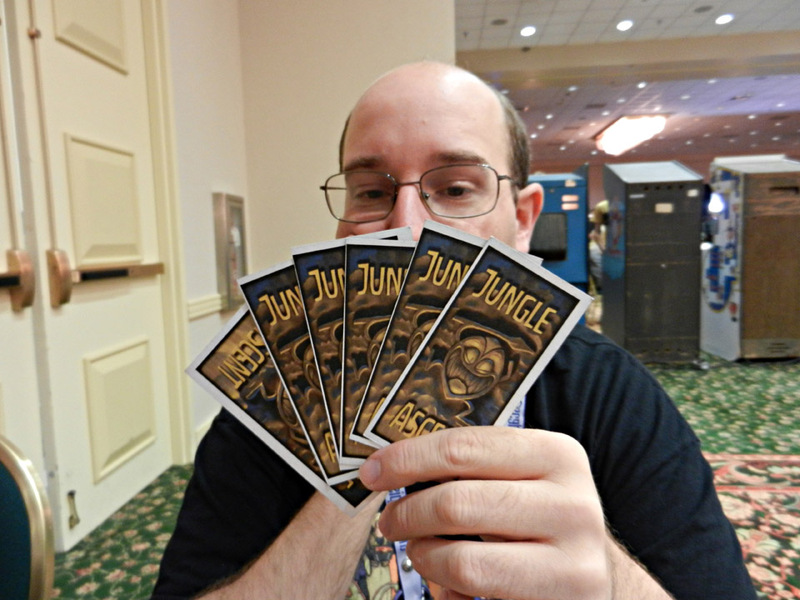 John Moller shows off his best treasure-hunting poker face. Ah, the sweet, sweet smell of victory – and gold. I win! The Expo wrapped up each night around 6, so a lot of us gathered for a couple of nights at Dice Hate Me HQ for some group games and craziness. Here, we’ve broken out Bang! and everyone proves very quickly that there is no consideration for the host – I was first one to get shot up! The hit of after-hours gaming was definitely Reverse Charades. 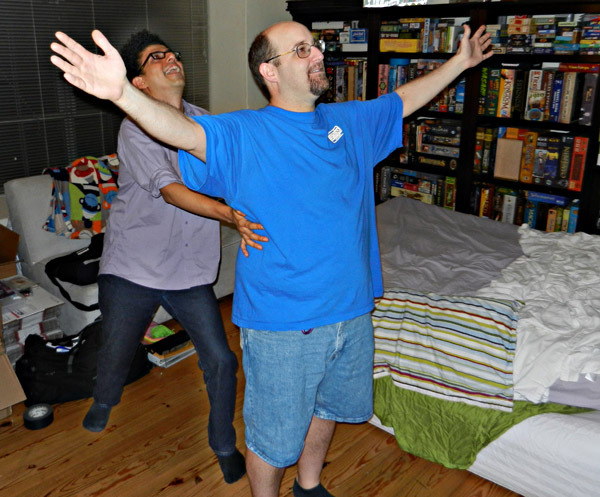 Here, Daniel Solis and John Moller prove that their hearts will go on as they act out Titanic. 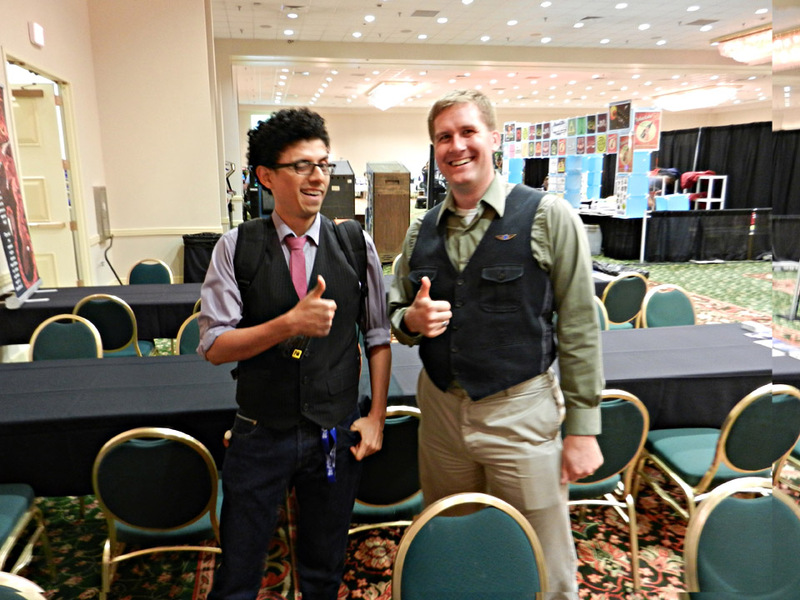 The two Dans – Solis and Yarrington. 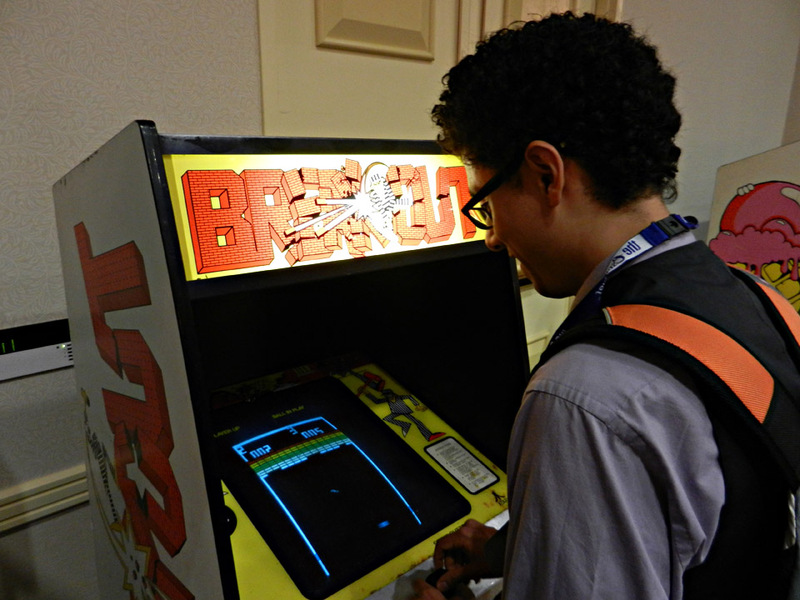 The American Classic Arcade Museum brought down a whole slew of vintage arcade games that everyone could play for free. It was so good, that even Jesus showed up. He’s playing Neo•Geo. 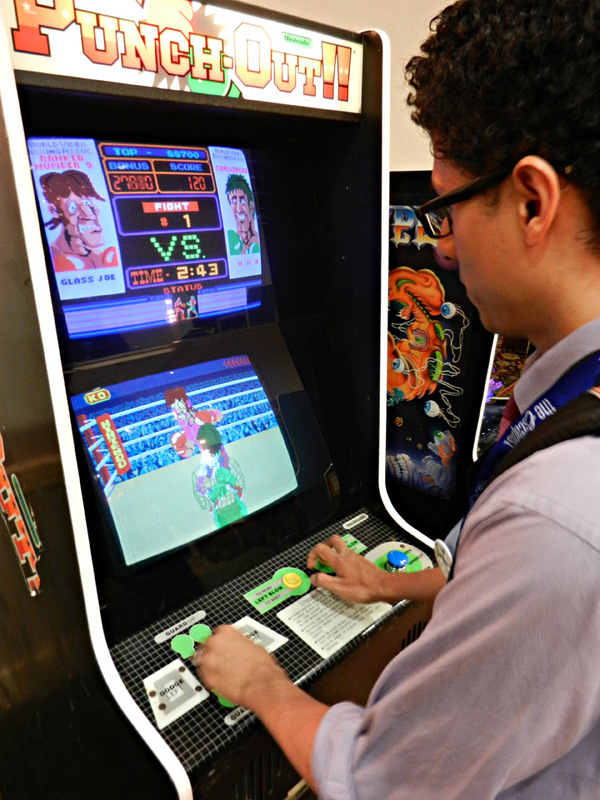 …and then Punch Out! “Mighty blow! Mighty blow! Mighty blow!” Ah, the soundtrack of Aladdin’s Castle – the local arcade from my youth. 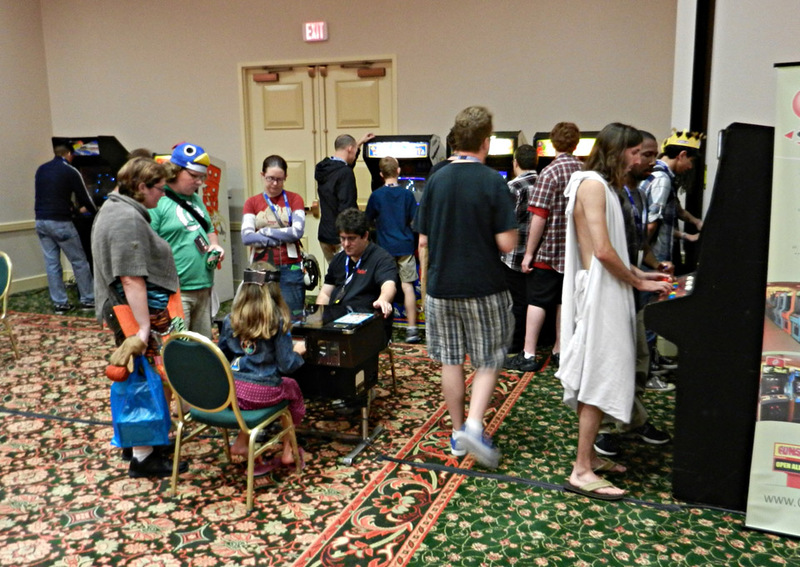 And then there was TONS of console gaming – all free, and very popular! 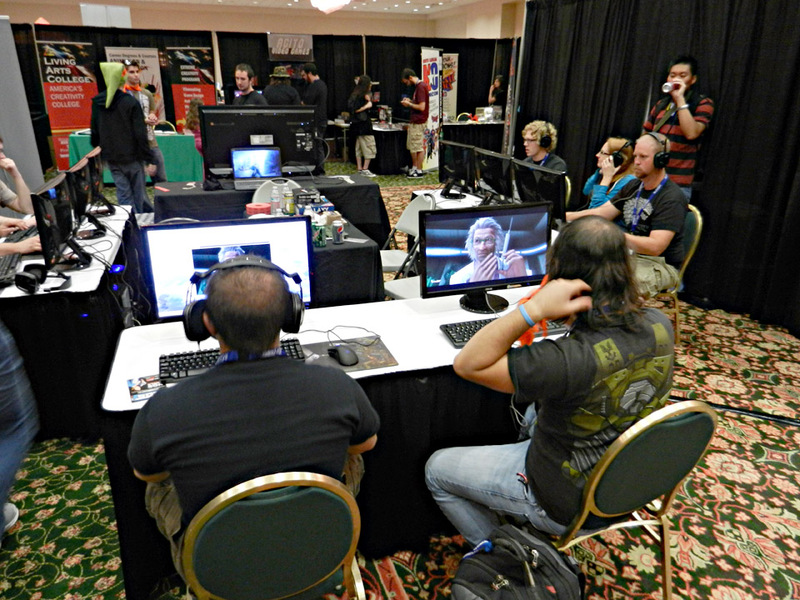 Funcom was in the house with open demos of their MMORPG The Secret World. 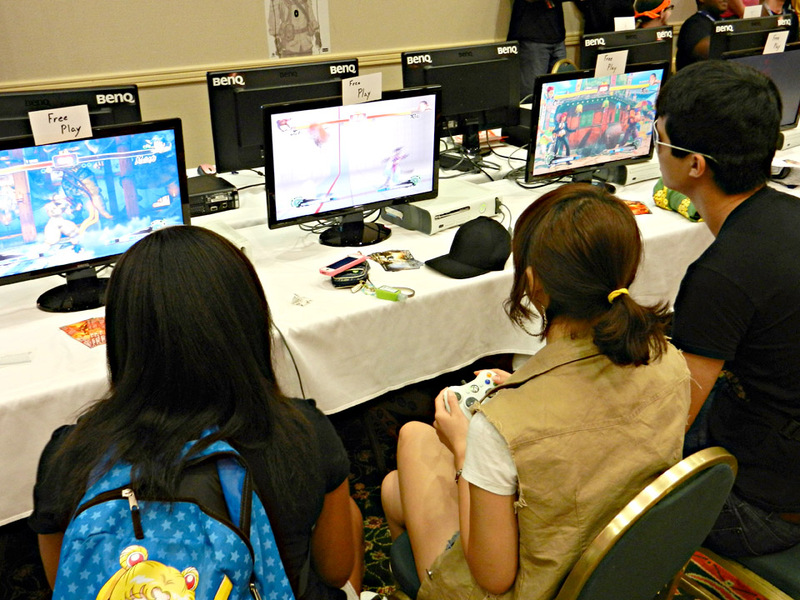 Local gaming powerhouse Red Storm Entertainment had a swanky gamer’s lounge. 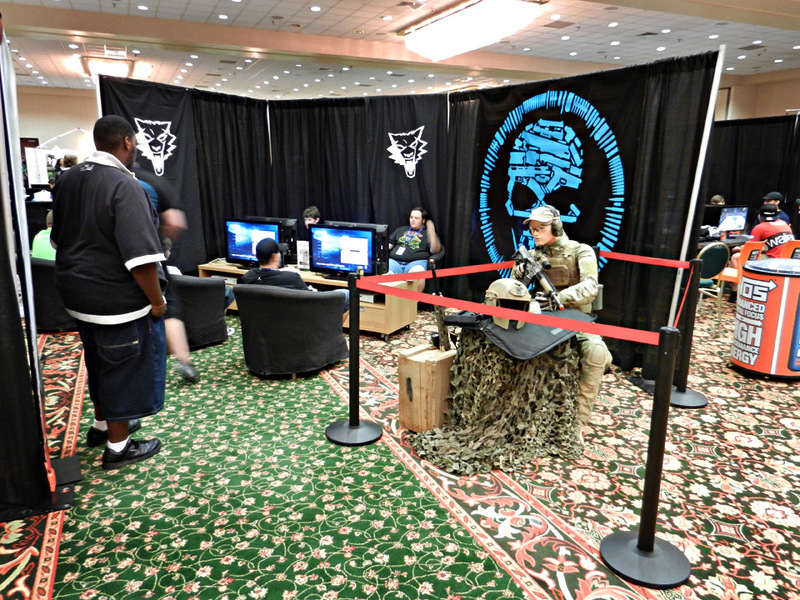 You can expect more areas like this at next year’s Expo – we’ll see you there!